The Little Book of Yoga Breathing is a great little package that offers a lot. 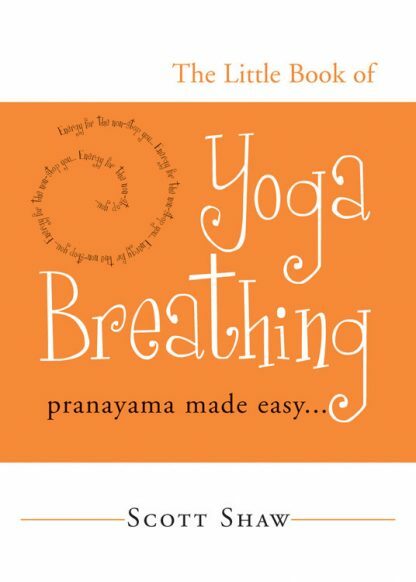 Pranayama, the practice of breath control, is detailed here in an easy-to-understand and even easier-to-practice format. Professional yoga instructor, Scott Shaw introduces 16 breathing exercises and how to get the best benefit from each of the forms by training, refining, and witnessing your breath. This book is for yoga practitioners and those who only consider themselves yoga admirers. Having trouble falling asleep? Try one of the calming breaths, Nadi Sudi, or the Nerve Purifying Breath. Have a long day ahead with no breaks until after dinner? Allow Ujjayi or the Hissing Breath to work its miracles. Also learn the Pranayama term in Sanskrit, how to pronounce it, what it means in English, and how to properly execute the breath to get the best results. And learn how to breathe while moving, standing, and leaning, and how each of these variations can affect your breathing practice. Sukha Purvaka is designed to quickly calm your mind and lower your cardiovascular rate in times of stress. It is also an excellent technique to practice prior to meditation, as it is known to invoke a clear and positive state of mind. To begin this exercise, sit down in a comfortable position. Close your eyes and watch your breath naturally come in and then leave your body. Embrace its life-giving force.